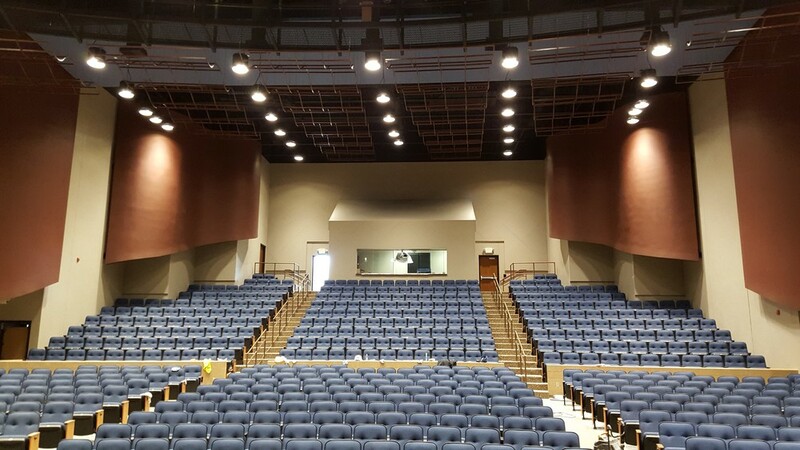 HEI provided the mechanical, electrical and technology systems design for this new high school auditorium. This project consisted of 750-seat auditorium, new band room and new choir room. The auditorium included 100% LED house lighting and a state-of-the-art sound system for optimal sound during performances.